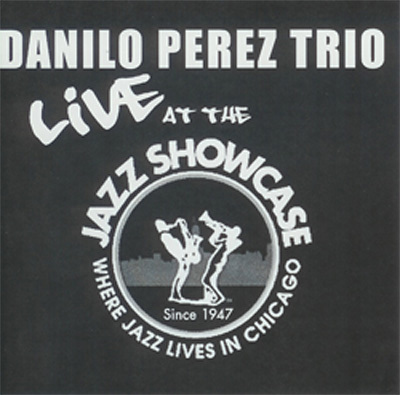 music lover participant - "the danilo perez trio live at the jazz showcase"
As a Music Lover Participant you will immediately receive "The Danilo Perez Trio Live at The Jazz Showcase” CD (Via Mail) and access to the complete “Danilo Perez Trio Live” project experience. Throughout the project Music Lover Participants will also receive exclusive news and interviews regarding the making of “The Danilo Perez Trio Live at The Jazz Showcase” recording. This offer allows you to participate in the current project, and at the same time explore previous recordings. This offer is perfect for anyone interested in an in-depth look into both my previous and current work. When the project is ready to come to a close you will also receive a downloadable "Danilo Perez Trio Live Project" CD. This CD will be a compilation of Danilo’s favorite live performances during the course of this project. The "Danilo Perez Trio Live Project" CD will be available by early October 2005. Throughout the project you will have exclusive online access to the “Danilo Perez Trio Live” project experience including interviews, music downloads, exclusive news, sheet music, video clips, photo galleries, recordings of rehearsals, and audio lectures on various topics. Plus! You will have the reward of having helped make this project possible!